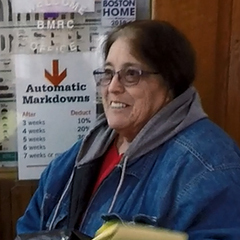 When Frankie Lieberman closed her home improvement business, Historic Hues, she donated a large quantity of material to the Reuse Center at BBR. Frankie has been a regular donor of materials over the years. “Most of it was just run-of-the-mill stuff,” she says—but every little bit helps our low- and moderate-income customers to finish their projects while keeping reusable materials out of the landfill.